Twitter Japan (Digital Garage), which is already advertising supported, are experimenting with a pay per tweet model.Media. Twitter Japan (Digital Garage), which is already advertising supported, are experimenting with a pay per tweet model. According to local reports, the plan will allow audiences to view some text on all tweets but will charge a fee to unlock access to certain images, external URLs and text. Users willing to pay to view the tweets can do so via a monthly subscription model, for which they can use a credit card to pay. They can otherwise buy a prepaid ticket with a credit card or at a convenience store. Finally, audiences can choose a pay-per-tweet option, which is charged to credit card, convenience store top-up cards or carrier billing for Twitter-on-mobile users. Reports note that the model is ideal for account holders who deliver real-time information; news and educational content; and include original photographs, video images and audio. According to the reports, the amount charged to each user will vary according to the charging account holders and is likely to range from JPY100 to JPY1000 (US$1.16 to $11.60). Twitter will take 30 per cent cut of the transaction fees. The two million or so Japanese Twitter users are used to paying for mobile content, and ads are anywhere from $US5.5k to $US33k on customized landing pages. Twitter Japan is more community oriented than other parts of the world which are all about 'Me'. 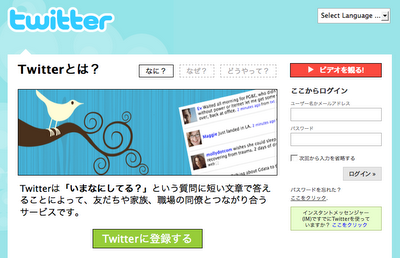 Japanese Twitter users often have different accounts for different communities. The monetization models also show some ways the Western consumer Twitter model could move - Twitter Japan is seen as a test bed for monetizing ideas, although culturally Asian use models are dissimilar to Western usage. This brings up some interesting comparisons with the current activity around enterprise micro blogging with products such as Yammer, the recently announced Chatter from Salesforce and even Cisco's acquisition of Jabber the XMPP (Extensible Messaging and Presence Protocol) company. ESME, born out of brilliant minds at SAP and ready for action over a year ago, is an example of being ahead of the curve.